A Big Alpaca Ireland Welcome! Westwind Alpacas is one of Ireland's Premier Alpaca Herds. Thank you for visiting our website. We hope you enjoy seeing the pictures of our alpaca farm and learning a little about them and us and about the Alpacas of Ireland. We concentrate on breeding healthy animals with excellent conformation and fine fibre. We want our alpacas to be alert, inquisitive and easy to handle. We treat them with respect and halter train all animals at weaning. 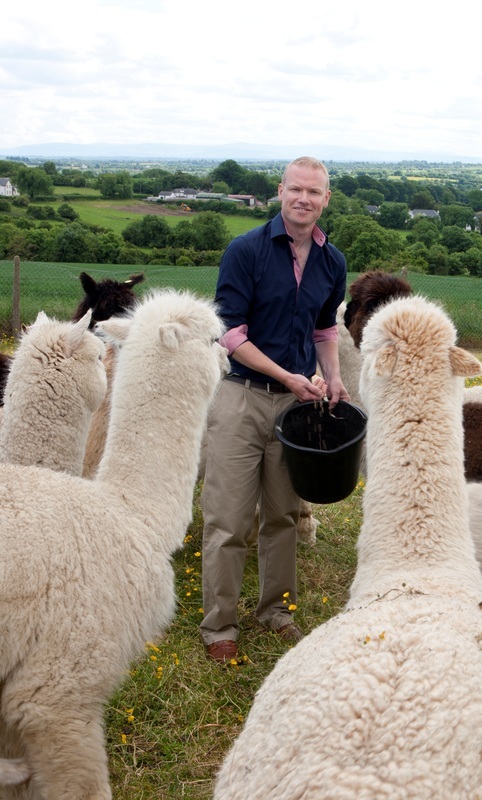 We are a small breeder and understand the issues affecting those new to alpacas in Ireland. We are always happy to provide advice and assistance. These pages can only give you a flavour into the world of alpacas in Ireland - to really appreciate their qualities you need to see them up close. We would be delighted to have you visit our farm and experience them first hand. Please note - this is not a petting farm. If you are interested in buying Alpacas, you are, of course, welcome to visit and see my alpacas. Please make an appointment in advance of visiting as I am not always at home. Westwind Alpacas is owned and run by Terry Gill. Located in North Count Dublin, Ireland, Westwind Alpacas was established in March 2010 with two pregnant females. Our herd now runs to 25 Alpacas, including our herdsires: Bambi - 2009 Irish Supreme Champion and Toft Snow Leopard - 2012 Supreme Irish Champion. At Westwind we want to maintain a range of colors and at present we have a good range from white to black with a nice selection of fawns and browns. 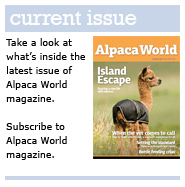 We are small breeder and understand the issues affecting those new to alpacas. We are always happy to provide advice and assistance. These pages can only give you a flavour of the world of alpacas - to really appreciate their qualities you need to see them up close. We would be delighted to have you visit our farm and experience them first hand.